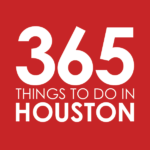 Our My Top 5 series showcases Houstonians who are creating the city’s culture and community and asks them to share their own local favorites. This week we’re delighted to feature Ryan Lachaine, chef and owner of Riel. Dedicated to pure and unpretentious food, you can celebrate Riel’s second birthday and their commitment to globally inspired Gulf Coast cuisine at their 2nd Anniversary Party on Tuesday, January 22, 2019. The event will feature guest Chef EJ Miller (International Smoke), an a la carte menu of Riel’s “greatest hits” from 5pm to 10pm, and $2 commemorative happy hour specials from 5pm to 6:30pm. Houston Zoo – I’ve got 7-year-old twin boys. They love the zoo, so when we have some time on Sundays, we’ll go. They really love feeding the giraffes, too. Glitter Karaoke – Robin and Terry Wong are good guys. I’ve been going there for years. When I worked at Reef, it was across the parking lot, so it was easy to get there. I’m looking forward to trying their new restaurant, Blood Bros. BBQ. Goodnight Charlie’s – I’ve always liked those guys, David Keck and Felipe Riccio. It’s open late right around the corner from my restaurant, so I’ll go there after work sometimes with my staff. I really dig their tacos and country music. Houston Museum of Natural Science – My kids really like this spot. they go there for summer camp. The dinosaur exhibit is pretty impressive. Ohn Korean Eatery – One of my favorite spots in Asiatown. Mike Tran does a really good job with all of his concepts. On Sundays, they have half-price soju and a bunch of Korean bar-type food. It’s a cool spot. 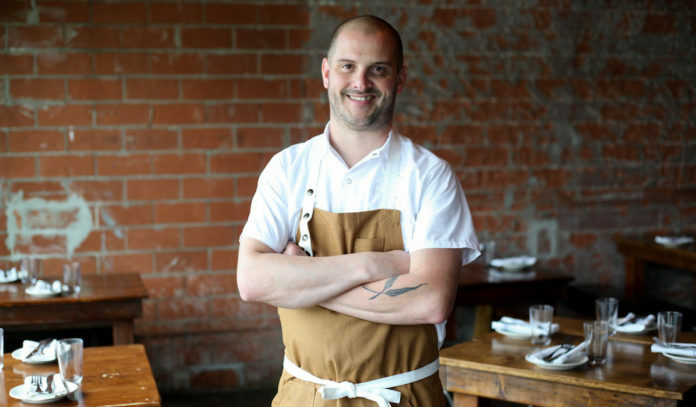 A native of Winnipeg, Canada, Ryan Lachaine is one of Houston’s most talked about chefs. Following culinary school at The Art Institute of Houston, his background has included stints at trailblazing Houston restaurants Gravitas and Stella Sola as well as becoming Chef de Cuisine at Underbelly and Reef before deciding to take a year off from the kitchen to plan Riel. The restaurant has been featured in Food & Wine, Esquire and Forbes and was named one of 2018’s “Best New Restaurants in Texas” by Texas Monthly. Dedicated to pure and unpretentious food, you can celebrate Riel’s second birthday and their commitment to globally inspired Gulf Coast cuisine at their 2nd Anniversary Party on Tuesday, January 22, 2019. The event will feature guest Chef EJ Miller (International Smoke), an a la carte menu of Riel’s “greatest hits” from 5pm to 10pm, and $2 commemorative happy hour specials from 5pm to 6:30pm.